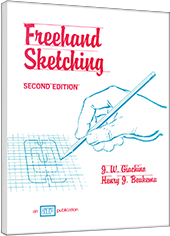 This text/workbook stresses drawing accurate freehand sketches. Demonstrates the basics of lettering, sketching, shading, sectional views, and multiviews. Includes 115 activities.